Find it at your library! I read this book on my birthday, and it was the best gift I could have gotten. Other than a foot rub, which I also got. From my husband. While I was reading. So yeah, I hit the marriage jackpot, thanks for asking! This book though. Oh my gosh. This is why literary fiction will always be my bread and butter. I love my genre fiction, my thrillers and epic fantasy and romance and the occasional memoir, and this year I've surprised myself with how much I've enjoyed straight-up non-fiction, but there is just nothing like a beautifully written work of literary art, in which the substance and style merge together to form a gorgeous, melty conglomeration of goodness like a delicious plate of word-nachos. No, I haven't seriously considered a career as a novelist, why do you ask? David and Ada, the eccentric and brilliant father-daughter duo at the heart of Moore's novel, made my heart swell. David is a computer scientist and runs a lab at an elite university. Instead of sending Ada to school, he brings her to work with him, where she learns alongside the grad students, and David teaches her other subjects in their spare time. Her world is a wonderland of knowledge. Only fleetingly does she wonder what it would be like to have friends her own age, to have a more typical childhood. But when David isn't able to care for her anymore and Ada is forced out of her comfortable existence, she realizes that the world outside the lab isn't as welcoming as she hoped. Matters are further complicated when she learns David had a past full of secrets, none of which he ever shared with her. I related to Ada in a way that I haven't related to a character in a really, really long time. Her innocence, her cluelessness with boys, her lack of fashion sense, her passionate interest in the world around her, her painful realization that her intelligence prevents her from fitting in with her peers. And then her halting journey to discovering who her father really was—it's heartbreaking and beautiful and real, all in one. It's everything I want in my literary fiction. Other than a foot rub, of course, but I was lucky enough to get that, too. With regards to W.W. Norton and NetGalley for the advance copy. On sale today, July 26! Sleeping Giants turned out to be exactly the kind of book I want to read right now. I’m so glad I put in that hold request at the library, because it’s been a sad and slumpy few weeks of reading for me, and I needed something that would make me want to turn pages, not just so I could be done with yet another ho-hum book, but because I had to know what was going to happen. I was hooked from the first page and turned the last page by bedtime. It feels like it’s been forever since I read an entire book in a day! And it’s the first in a series? Lucky, lucky me. If it seems like I’m gushing, well, I am, and unapologetically too. 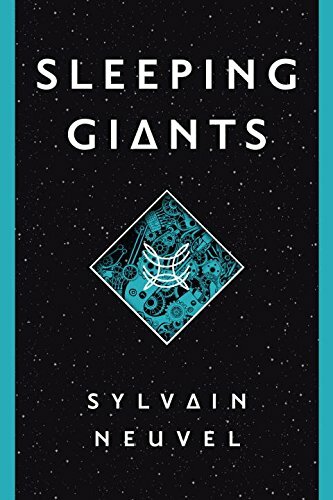 Sleeping Giants is that perfect escapist sci-fi novel that presents a premise so totally original, you have no idea where it’s going but you can’t wait to get there. A little girl falls into a hole in South Dakota, and when rescuers find her, she’s sitting in what appears to be the palm of a giant metal hand. What?! 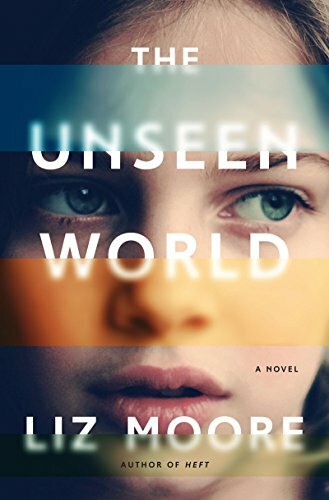 And no time is wasted on exposition—three pages later, the little girl is a grown-up physicist, the hand has been moved to her lab for analysis, and she’s developed a theory that there are more body parts out there yet to be found. Oh, and the hand is thousands of years old and couldn’t possibly have been made by humans. Are you making googly eyes yet?! All of this awesomeness is told via transcripts of interviews, excerpts of journal entries, and other found items, which can come across sooo gimmicky in the wrong hands, but doesn’t at all when it’s done well, as it is here. I love feeling like a detective, putting together the pieces myself and figuring things out along with the characters. Suffice it to say, I adored this book and can’t wait for the sequel.